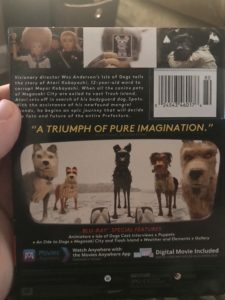 Isle Of Dogs - Blu-ray Review - ReDVDit! 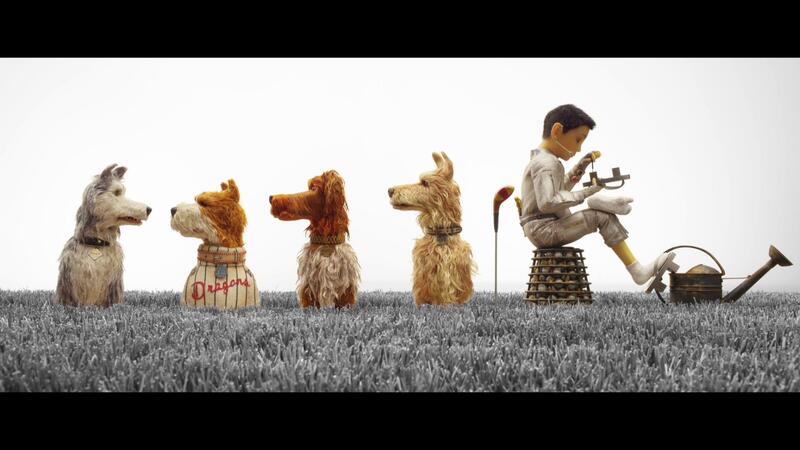 Isle of Dogs is a 2018 stop-motion animated film that was written, produced, and directed by Wes Anderson. Set in a dystopian near-future Japan, the story follows a young boy that is searching for his dog after the species is banished to an island following the outbreak of a canine flu. the film’s ensemble voice cast includes Bryan Cranston, Edward Norton, Bill Murray, Jeff Goldblum, Bob Balaban, Greta Gerwig, Frances McDormand, Courtney B. Vance, Fisher Stevens, Harvey Keitel, Live Schreiber, Scarlett Johansson, Tilda Swinton, F. Murray Abraham, Frank Wood, Kunichi Nomura, and Yoko Ono. A US-German co-production, Isle of Dogs was produced by Indian Paintbrush and Anderson’s own production company, American Empirical Pictures. The film opened the 68th Berlin International Film Festival, Where Anderson was awarded the Silver Bear for Best Director. It was given a limited release in the United States on March 23, 2018, by Fox Searchlight Pictures, and went on a wide release on April 13. It has grossed approximately $63 million worldwide, and received significant praise for its animation, story, and deadpan humor. A manga adaption of the film by Minetaro Mochizuki was published in 2018, beginning with the May 24 issue of Weekly Morning. 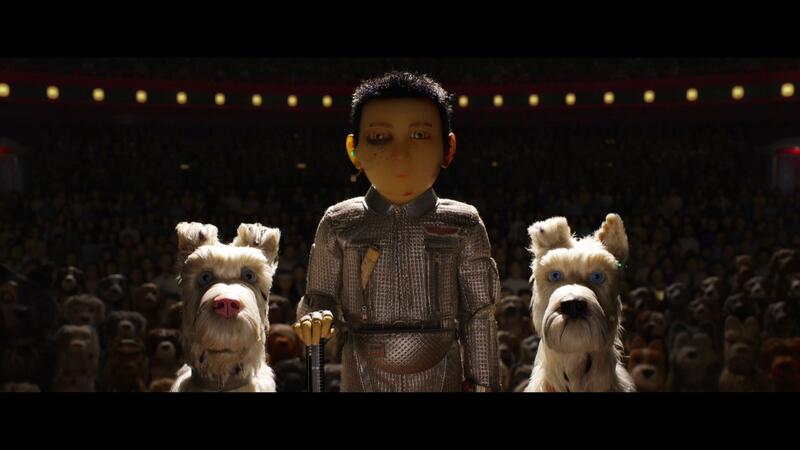 Isle of Dogs is a movie that I honestly wasn’t completely sure that I would enjoy. Personally speaking, I am absolutely not the biggest fan of Wes Anderson’s work at all, and a lot of his work does require a unique perspective that over the years, I’ve found to be quite boring. That said, as my wife and I sat down to watch this the other night, I found this movie to be very heart-warming and overall a genuinely great experience that had taken the concept of the unspoken bond between man and dog and portrayed it in a way that I’d never seen done in film. The performances from this group of stellar actors (voice in this case) were absolutely phenomenal and I feel that they fit the personalities of the dogs that were a part of this story. It was a little frustrating in that there were some spoken parts that remained true to the Asian storyline; but after about a third of the way through the movie, I was able to look past that and the lack of subtitles for those parts. Presented in 1080p, the painting style that was used for Isle of Dogs looked absolutely beautiful as it played out across my living room television. The various details to the scenery as well as the finer details to the dogs and characters really popped on my living room TV, allowing for much more of an appreciation for the work that the animation team had put into making this film. While there really weren’t any parts that stood out more than others, the cleanliness of the animation really made sure that everything could be visually seen and understood without having to squint or pay any kind of added attention to the screen. The colors were bright and distinct from one another, making this a nice centerpiece for anyone’s collection. 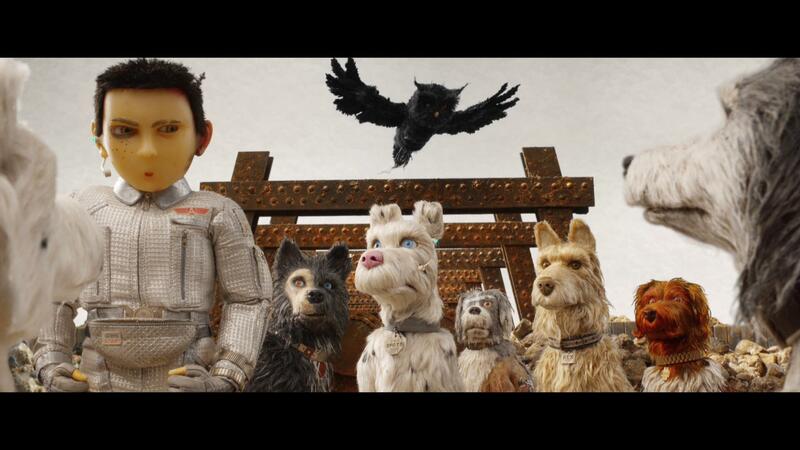 Packaged with a DTS-HD Master Audio 5.1 mix, Isle of Dogs offers a considerably clean and powerful experience as it conveys the overall story that it sets out to do. The dialogue of the film is spoken cleanly and offers an experience that doesn’t really require having to manually adjust your volume levels as it progresses; and the dialogue is certainly prioritized over any of the scenic elements or musical accompaniment so that everything can be heard and understood. If I were to note any elements that really popped with this release, it would have to be the musical accompaniment that followed the film. The various songs that featured a heavy drum beat really power-housed through my home theater system and ultimately brought mine and my wife’s attention to the center of the screen as we were wondering what was going to be happening next. 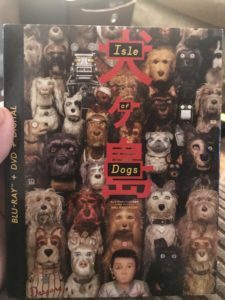 The standard Blu-ray release of Isle of Dogs comes packaged in your standard two-disc Blu-ray amaray case. Within that case is the standard Blu-ray copy of the movie as well as the standard DVD copy. Neither of the discs feature any artwork that’s related to the film, outside of the standard release text and generically solid colored background. They did opt to use a similar font for the title portion on the discs that would be unique to the title. There’s also a digital copy redemption pamphlet that’s been included for the various streaming options as well as a slipcover that’s been made available during the original pressing that features the same piece of artwork that’s been included on the case art. 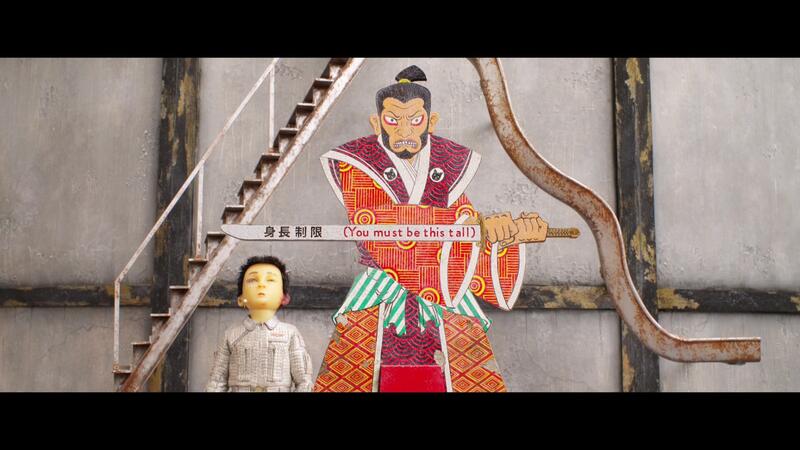 Overall, I found Isle of Dogs to be a really enjoyable film. The biggest part that hit close to home would be that of the unspoken bond between man and man’s best friend that was perfectly conveyed with this movie. 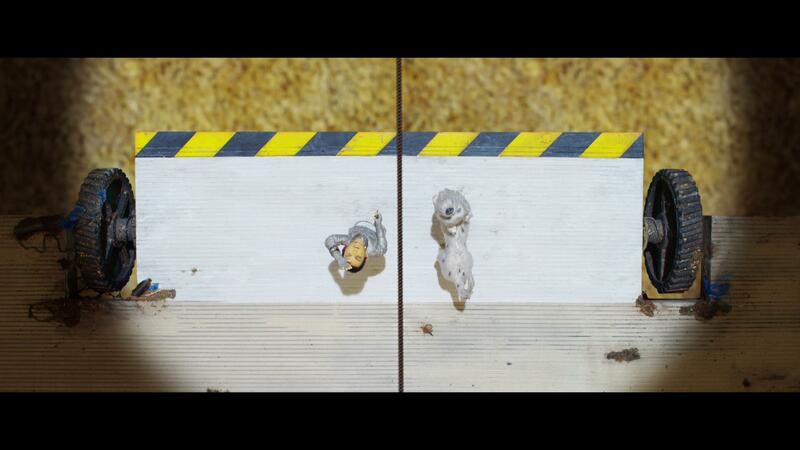 The story does start out a little slow and would be what some may consider to be boring. But about halfway through the film, it really picks up and makes up for that slow start. The video and audio presentation of the Blu-ray was exceptionally nice and doesn’t really call for any kind of immersive aspect or the inclusion of the surround channels. 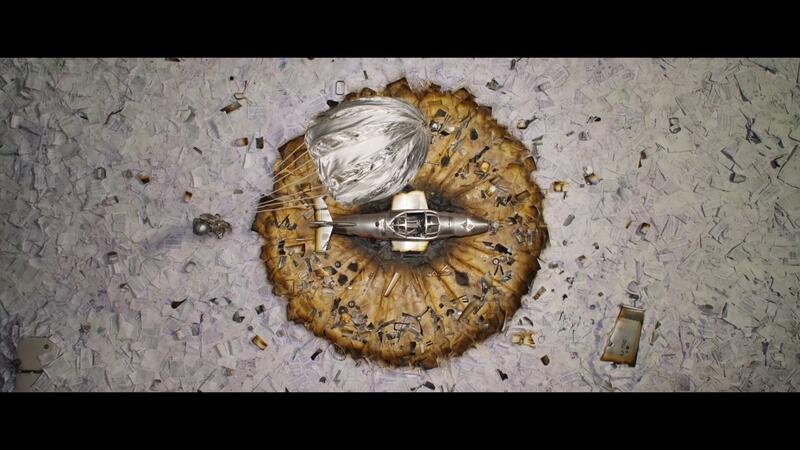 The special features offer a beautiful look at the work that went into making this movie. If you’re considering this release for your collection, I would absolutely recommend picking it up. 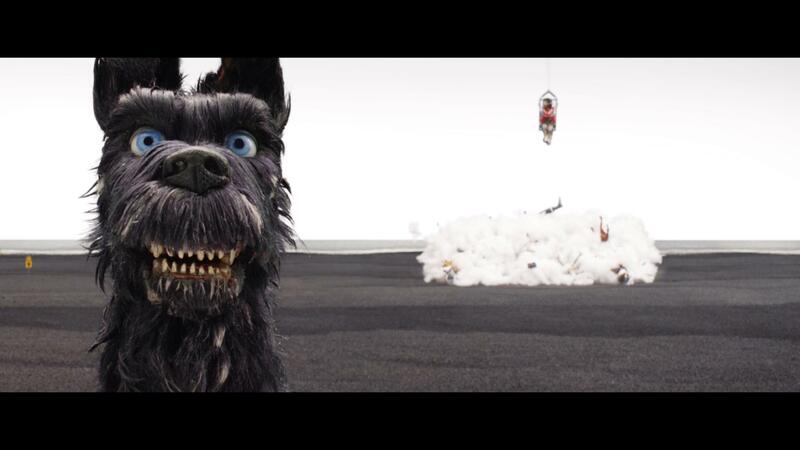 Isle of Dogs is available on Blu-ray and DVD today!